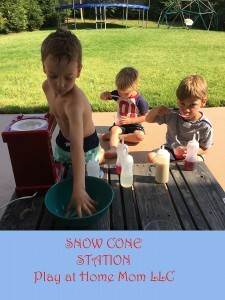 A few months ago, I shared a picture of our snow cone station. 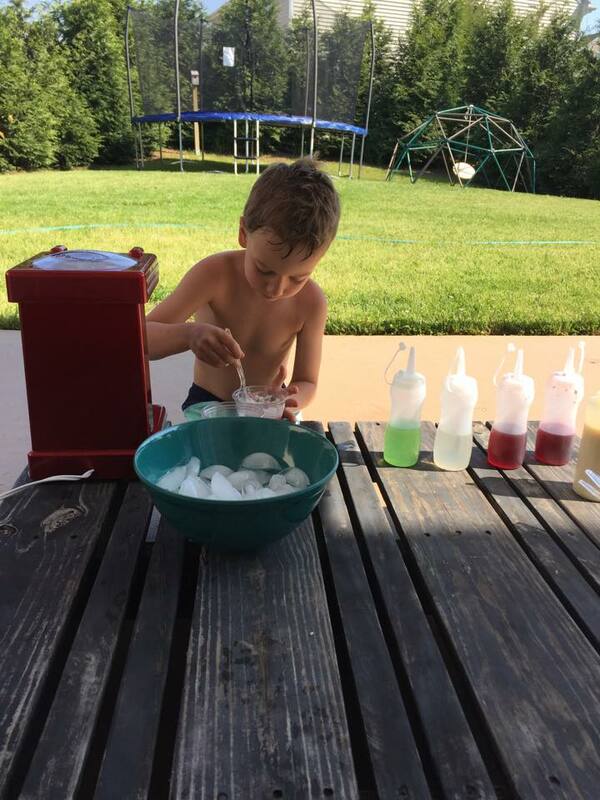 Our SNOW CONE MACHINE has been a huge hit this spring, and will likely continue to draw in all of the neighborhood kids through the summer. 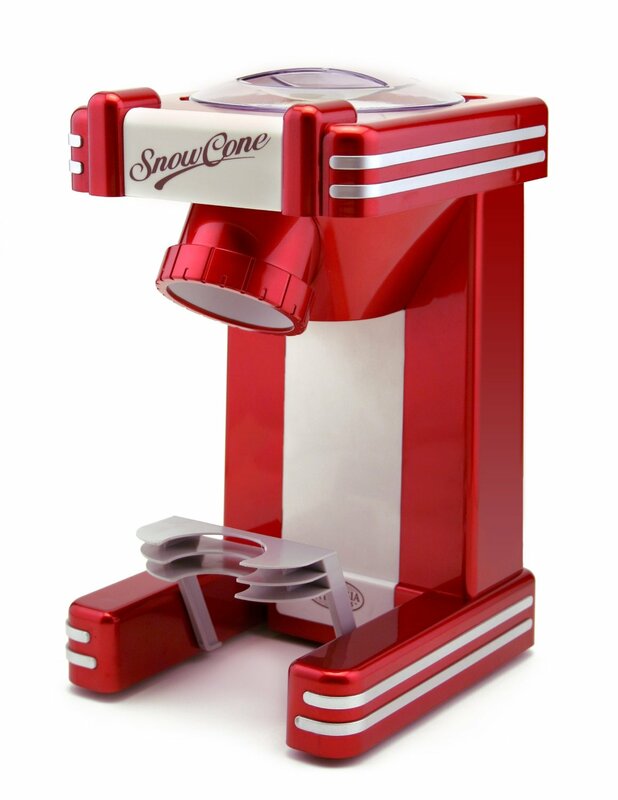 We love this model machine because it uses regular ice cubes and is self propelled…..meaning you don’t have to stand there and push down to crush the ice like some models……you just turn it on and it gets to crushing. 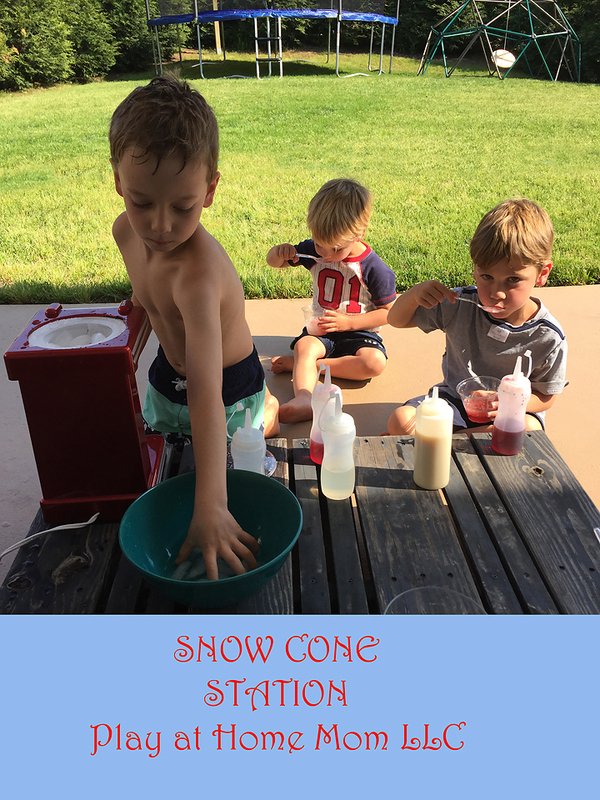 I love to set our snow cone station up in a way that encourages the children to make their own. We use clear cups, spoons, and SQUIRT BOTTLES that seem to help resolve the issue of using too much syrup. Torani syrup is the best we’ve used, and yes I am aware of all of it’s ingredients. For healthier options, you can google for recipes online – there are several. Looking for a way to beat the heat?? We highly recommend cooling off from the inside out with a snow cone machine.